Aizawl, Nov 22 : Dying is expensive in Mizoram where wooden coffins burn a hole in the pockets of poor families. Now, NGOs have appealed to political parties contesting the November 25 polls to create awareness about inexpensive coffins made of bamboo which is available in plenty in the state. The Young Mizo Association, a NGO which helps in coordinating social functions and in conducting funerals for poor families, have been providing free bamboo coffins to those who cannot afford the wooden ones. "Whenever we hear that someone poor has died and the family doesn't have the money to buy a coffin, we provide cheap bamboo coffins free," YMA general secretary Vanlalruata told PTI. "There is hardly any mass production of bamboo coffins which can bring down prices," Vanlalruata said. The price of a wooden coffin in the Christian majority state is upwards Rs. 4,000 depending on the variety and design. A bamboo coffin, in comparison, costs just Rs. 1,500. But lack of awareness and shortage of government subsidy for manufacture of bamboo coffins is stopping its mass production, which is a dampener for the sale of the cheaper variety. 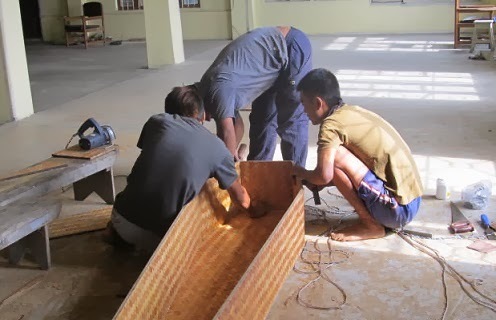 According to Vanlalruata, bamboo coffins are being produced in coordination with the National Bamboo Mission.